(Newser) – Election 2012 was supposed to hand Republicans control of the Senate, but thanks to candidates like Todd Akin, things didn't work out according to plan. Now, the party is scrambling to realign itself for future victories. A key strategy: Go local. "We ought to make certain that if we get engaged in primaries that we’re doing it based on the desires, the electability, and the input of people back in the states that we’re talking about," says the next head of the National Republican Senatorial Committee. "And not from the perception of what political operatives from Washington .... think about who ought to be the candidate in state X." 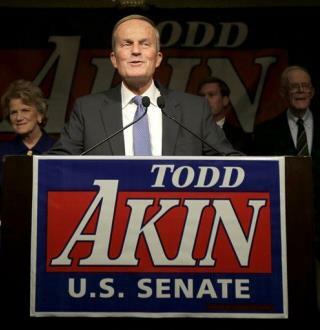 One way the GOP can avoid another Todd Akin is to let the South secede.